Want to Know What It Is Like To Be An L & D Mail Masters’ Client? Incorporated in 2004, the New Albany-Floyd County Education Foundation has been a resource to supplement and pay for additional education programs to improve student performance but are not funded by The State of Indiana or the federal government. 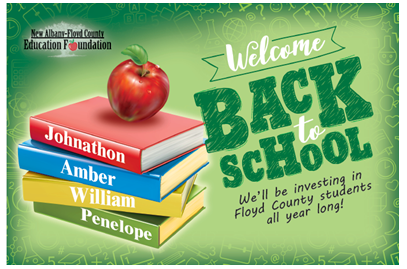 Since 2011, the foundation has granted more than $600,000 to teachers in the New Albany-Floyd County School Corporation. The Foundation also runs the “Blessings in a Backpack” program, which sends bags full of ready-to-eat food home on weekends to students in need. These types of programs are completely funded by donations. They attribute much of their marketing successes to L & D Mail Masters. Tyler Bliss, Executive Director of New Albany-Floyd County Education Foundation, spoke to L & D Mail Masters about their partnership. What does L & D Mail Masters do for this organization? L & D Mail Masters helps create meaningful and creative pieces for our prospects. We have received great feedback about our personalized mailers that we send out. It is a useful tool that really grabs the reader’s attention and is an impactful piece. How does the New Albany-Floyd County Education Foundation measure success? L & D Mail Masters has helped with our strategy of staying in front of our donors and future donors. Maintaining these relationships leads to more donations, which ultimately leads to more programs we can fund. In the education system, there is a lot of turnover. Every year a new class graduates and a new class comes in, so it is vital to introduce our foundation to those parents. L & D Mail Masters’ direct mail effort has allowed us to do this successfully. Tell us what it is like working with L & D Mail Masters. It’s been a great experience working with the team at L & D Mail Masters. This partnership has continued for the past 13 years, and it truly is because of how easy it is to work with L & D. To be able to give them a project, know it is in good hands and that we will receive amazing quality is really refreshing, especially since I am the only full-time employee with the New Albany-Floyd County Education Foundation. 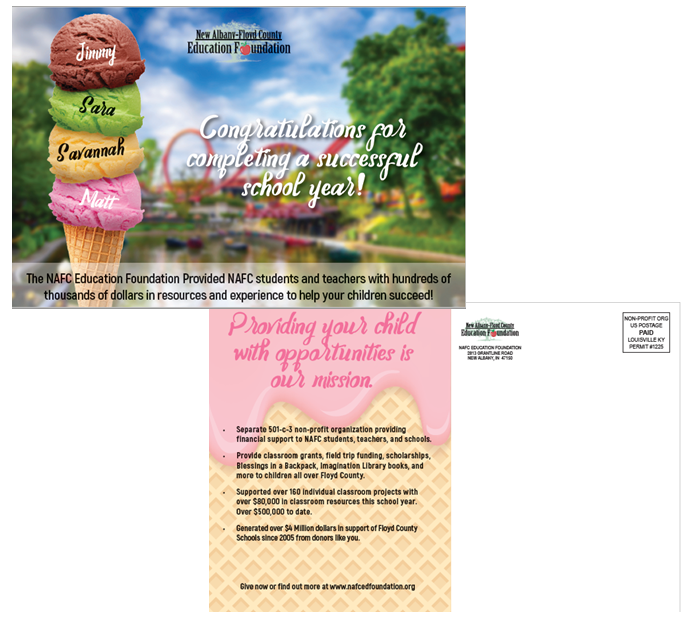 How do L & D Mail Masters’ values align with those of the New Albany-Floyd County Education Foundation’s? L & D Mail Masters is a local startup, so they understand the importance of community participation. They are always open to hear new proposals and ideas, and are never afraid to implement them. Diane, the President of L & D Mail Masters, values continued education and that has led the entire company to lend a helping hand to our foundation for so long.